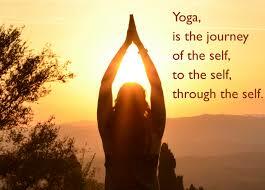 Yoga is an ancient Indian philosophy, thousands of years old. It was first designed as a path to spiritual enlightenment. Nowadays it is more seen as a gentle form of exercise and stress management. There are many different styles of yoga, but each of them basically relies on holding special poses (asanas) which are practiced with breath awareness. Researchers have shown that the regular practice of yoga can produce many health benefits, including increased fitness and normalisation of blood pressure. Yoga is a type of the exercises which have amazing effect on our body but also our mind. By slowing down, relaxing and properly breathing we can lower levels of stress, and increase feelings of happiness and wellbeing. Basically yoga brings your body and mind together and seems like perfect combination of exercise, breathing and meditation! Depends of what you prefer, you can choose yoga class in your existing gym or more private small yoga studio. Professional yoga teacher will help you to correct your asanas, give you some advise or adjust your poses according to your flexibility. It is not always easy to find good yoga studio or commit to the times when classes are available. Our lives are busy, full of duties, work, kids… never ending “I don’t have time for myself”. It can only lead to more stress and what comes with it some health problems. In this case you can try online yoga. The best online yoga classes I found on internet is Yoga Download. There are some good books available with great descriptions and pictures of asanas. Check my review of “Light on Yoga” by B.K.S Iyengar. Highly recommended! I have never practiced yoga, but it is on my list of things to do in this life since it is so beneficial to us as humans. I am doing mostly visualization techniques at the moment, which is also a very powerful form of meditation. I have to pace myself and take it one step at a time while I go through the phases. I will be looking into this 900+ online yoga classes when I get the time to do so. $10 per month does sound like a really good deal indeed. Thank you for some great inspiration today Elektra. Really good article on yoga and the mind-body-fitness topic. I am an athlete so I can relate to what you’ve wrote. I really love yoga by the way – I think it is a necessity to practice yoga in a world like ours with all those pressure and problems ! Your website is stunning! I loved this post on an holistic approach to your health! 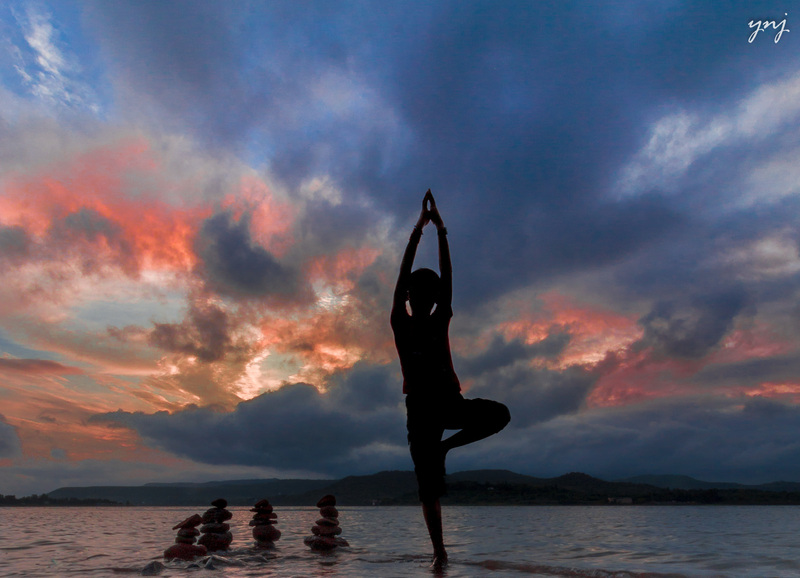 I have been interested in Thai Chi and Yoga for years and you make a fantastic statement when you mentioned that the mind and body are very much inter connected. There is no one, without the other. It’s great that you mentioned online Yoga classes. I find that when starting new ventures, it is far easier and more comfortable to be doing it at home, without the feeling that you are being watched… At least for introverts like me anyway. Excited to get started with Light on Yoga. Thanks for the recommendation. Keep up the awesome work. I am looking forward to reading more on your website. Great Articles I never knew doing yoga can help in many area of the mind, that explain why my ex boss were very fit and strong. I recently been injured from my Taekwondo Training and dislocated and injured my ankle, force to retire from it, I wondering if doing Yoga would be great for retire member like myself?. Yoga is great for your body and mind. I’m sure it would be a good way for you to still keep exercising and keep healthy lifestyle after retiring from Teakwondo but as for any other physical activities get medical advice about your injury and starting yoga. 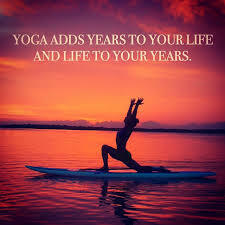 Good Yoga teacher will be able to adjust your poses that suits your needs. Give it a go! Good luck! I’m such a homebody – so the idea of being able to do Yoga when it best suites me from home is really appealing. I have limited time and regret losing time in transit to a local class. From past experiences, I’ve found that some online Yoga classes can be horribly cheesy..to the point where I simply can’t watch them! In about a year, we are going to live a very rolling stone kind of lifestyle, setting down into a place for a couple months and moving on…we also won’t have cars :). But we will have a good internet connection.Based on this information, do you think Yoga Download would be good for me? If I don’t like it, will they give me my money back? It seems perfect for you 🙂 To be honest I could not find anything on their website about money back guarantee, need to dig deeper and actually send them a question about it. You could always try with just one month subscription and try different classes to find something suitable for you. There is a huge selection of classes, styles, teachers- I’m sure everybody will find something of interest for them. Online yoga is an interesting concept and I’ve actually never thought of that. I can certainly see the benefit on days that I can’t attend classes and the ease of doing it from my own home. Thanks for recommending and I’ll check out this program. I really recommend it, you can find there classes which suit any level of fitness! Thanks for your comment Cathy!